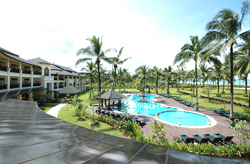 Khaolak Orchid Beach Resort is an exclusive boutique resort in colonial style low rise building with private beach and unique setting near the Khaolak National Park and unlimited seaside experience. 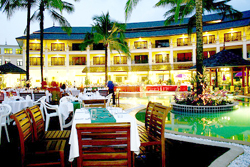 A four-star resort, is surrounded by a white scenic beach natural forests and waterfalls and situated in a truly relaxing environment, you can enjoy a private moment to yourself and really unwind. 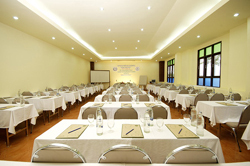 We offer 54 deluxe seaview room, two family suite room with private balcony, and plenty of our recreational facilities such as swimming pool 350 square metres with Jacuzzi and children pool, restaurant "Fragran" in tropical garden, traditional and spa treatment, finess room, library room, Internet/email room, and meeting room with audio equipment. 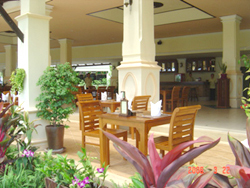 Looking out onto coconut trees and front beach view, local thai dishes and international favourites is offered throughout the day. 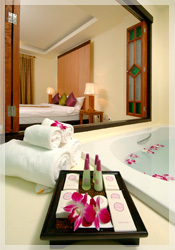 International and Thai selection available from 10.00 - 23.00 hrs. 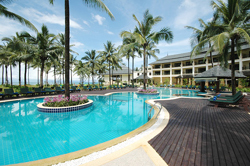 Swimming pool 350 square metres with Jacuzze and children pool. 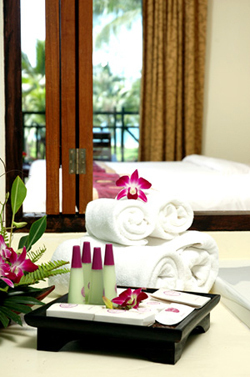 Nestled on the shores of one of Khaolak’s finest beaches "Khuk Khak Beach", in its own tropical gardens, Khaolak Orchid Beach Resort is an intimate, picturesque property built in the colonial style facing to Andaman Sea. 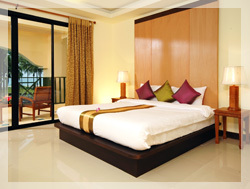 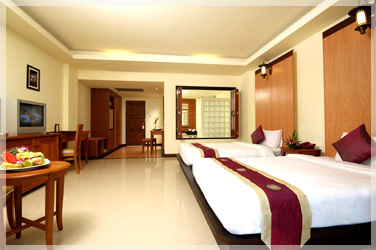 All Deluxe and Premier Deluxe are guaranteed of Sea View.